Our follow up course and the natural progression for students that have completed the foundation balanced health kinesiology course levels 1-6 click here for more information about this course. Once the foundation course and the practitioner’s course are completed you will become a qualified registered kinesiologist. TASK practitioner course is for students wanting to go deeper into how the body works, learning advanced kinesiology techniques and work on deep communication skills so to become a more successful practitioner. We will be running one course per year in Plymouth in October time where the course will run approximately 9 months. The Practitioner Course comprises of 17 Modules. The Intensive Workshop part of the course is taught for 4 days Monday to Thursday. 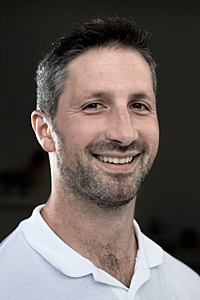 Your tutor will be Sergie Hajikakou an experienced kinesiologist, teaching for TASK since 2009. He brings nearly 20 years of experience working in the health, fitness and wellness industry and has a full time kinesiology clinic. The Practitioner courses will always begin in October and end in May with an exam. **Students undertaking the Practitioner Course need to have gained a qualification in Basic 1st Aid (3-hour course) and an Anatomy and Physiology Course level 3 either through our associates or an equivalent training board. This may be done before, during or after the Practitioner course. a deposit of £495 is due upon enrolment and is non-refundable. All course materials will be included in the price: Course manuals and full-coloured notes, 1 magnet, Clinic Practice session and Final Exam. There are no hidden costs. The classes continue to combine explanation, demonstration with plenty of practical work. You receive full colour illustrated notes at the beginning of each module. They will contain all the information you are learning on that module so makes note taking minimal. They clearly show the tests and corrections and protocols of the most simple yet advanced techniques that are brought alive for you throughout the course. You will use these notes over again to study plus as a reference when you practice on clients for your case studies. These practice sessions gain you invaluable experience and are needed to qualify and receive your Certificate. •You are required to practice in between the Modules and provide 4 written case studies per month (total 30). •Students need to complete one supervised clinic practice session with a tutor which we arrange and also to pass the 2 hours written examination at the end of the course. •Students undertaking the Practitioner Course need to have gained a qualification on an Anatomy and Physiology Course, either through our associates or an equivalent training board. This may be done before, during or after the Practitioner course. •On completion of all the above AND passing the final exam you will receive the Advanced Systematic Kinesiology Certificate to become a fully qualified Registered Kinesiologist. You may then work for a professional fee with the letters Cert. A.S.K. after your name.